Following meeting at a central Waikiki Beach location, you'll receive your bike, helmet safety gear, water and snacks. Great for the entire family, you'll be able to taste your way through Hawaii while sightseeing through local neighborhoods. 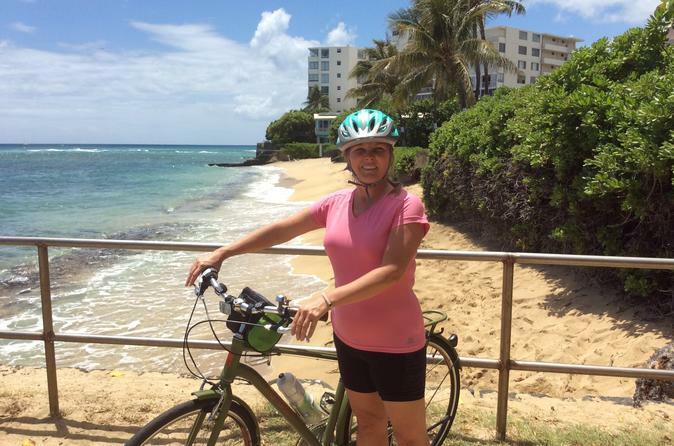 Begin a bike ride to visit local diners, cafes and restaurants featuring local and Hawaiian cuisine. Stop at 10 to 16 local eats in the Diamond Head, Kapahulu and Kaimuki neighborhoods and try samples at 5-6 stops, including various meats, vegetables, fish, sweets, fruits and juices. Please note: tour can be tailored to meet your needs. Riding distance will be between 5-9 miles and take about 3 to 4 hours.